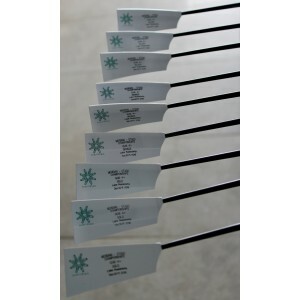 Inscriptions : Can be engraved to personalize your oar on the front face . 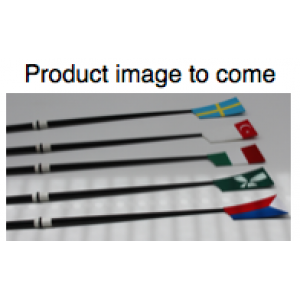 This Product range is discounted to sponsors and regatta organizers for bulk purchase of oars at a g..
A crew set of oars is supplied painted with your colour/s to remember a season, that race, or .. 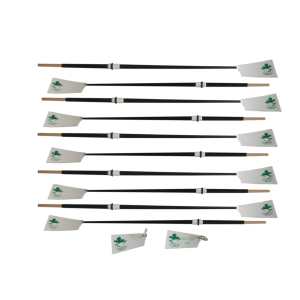 These Blades can be painted to your specifications to commemorate your event Oars can be presented e..
A Race set of Engraved Oars can be donated by a race sponsor for presentation to Competi..
Commemorative Set There are many possibilities.Oarthentic Oars is happy to create with you.This samp..